So, you are looking for great beach vacation getaways. Well you have come to the right side of the state. The Gulf coast probably has the most areas where you can really getaway from the crowds or just get into a more relaxed way of life. 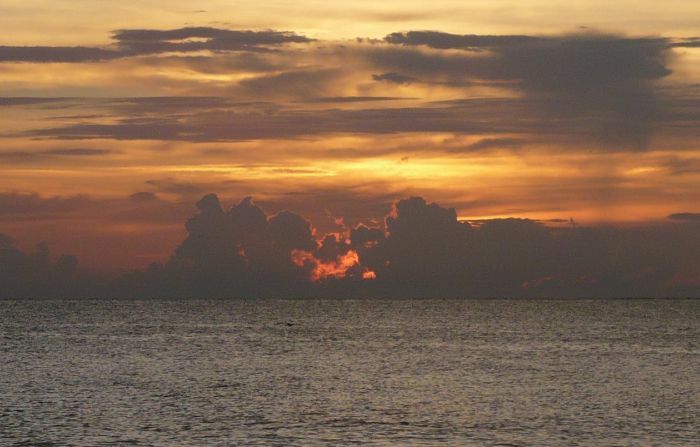 The beaches are regularly rated amongst the best in the US, and the Gulf provides you with the most spectacular sunsets that you will find anywhere. So, if you are looking to escape, want to rekindle some romance, or just want to slow the pace down some, you are off to a good start. Here is some insight as to some of the best areas for great beach vacation getaways on the gulf coast, that might be just what you need. 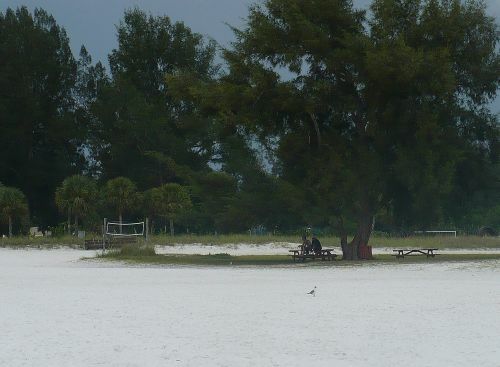 If you fly into Tampa and take about a 45 minute drive across the sunshine Skyway and into the Sarasota area, you will find wonderful beaches that have little to no crowds, and are built for relaxation. These are a series of little barrier islands that make for excellent escapes, while still providing the best of beaches. My family spent a week in this area, a couple of summers ago, and we loved it. An extra benefit to the Tampa Bay area, is that if you want a day to do something really fun, you are just a short drive away from all kinds of great things to do. If you prefer not to drive from Tampa, you can fly into Sarasota/Bradenton International airport. Personally, I prefer the drive. It is beautiful and well worth it. Let's talk about some beaches now. A wonderful island getaway that has a private island feel. There are 3 different communities whose beaches have sugar white sand, and quaint business districts full of charm. There is relaxing pace of life here, and accommodations ranging from a million-dollar villa, a beautifully restored home or a rustic cottage to rent or to own, this beach vacation destination has it all. Hurry though, word is starting to get out. An absolutely terrific beach community. In fact, in the past, this has been rated as the #1 one beach in America. It has a huge public beach with lots of park-like facilities, is covered in sugar white sand, and has plenty of lodging ranging from condos to mom & pop bungalows. This could be a great location for family beach vacation getaways. This is a great place for a romantic escape. This community is located just off of Sarasota. It is small and quiet. It has a large, very natural beach area, ideal for long walks and enjoying sunsets. 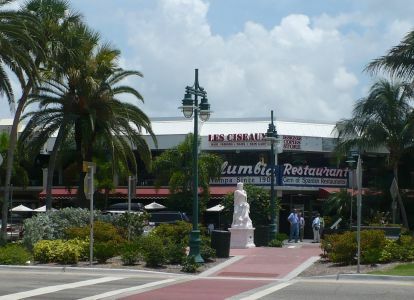 The island is also home to St. Armand’s Circle, a wonderfully eclectic collection of shops and restaurants that are sure to please. 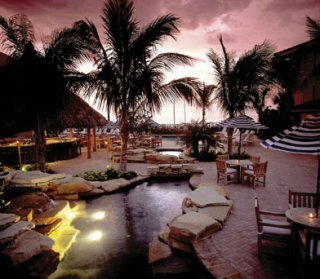 They are surrounded by palms trees and beautiful statues, making the area perfect for romantic strolls after an intimate dinner. Now lets travel as far south as you can go without leaving the mainland. This area is unique in that it can feel far away from it all, or you can be sitting in the lap of luxury in as fine a resort as can be found. You can set sail on a catamaran in the gulf, or on an airboat in the everglades. The bottom line is that if you want to getaway, this area is a great place to be. Here is probably one of the best beach vacation getaway locations anywhere. It is 2 islands that are connected by causeways, whose accommodations are made up mostly of small hotels & bungalow type hideaways. They are accessible by car, and are near the Ft Meyers area, but feel like they are miles from everywhere. Sanibel is considered one of the best places in the world for collecting seashells, and people come just to walk the beach. These 2 towns are quaint & quiet, just perfect for getting away from it all. If you like peace and quiet, but also want to be pampered in luxury, this is the area for you. Known for high-end resorts, this area is like a play ground for the rich. Here you can relax in splendor, enjoy sumptuous spa treatments, play a round of golf, and walk along beautiful beaches with little company. Beach vacation getaways don't get much better than this. This might also be an excellent setting for a romantic wedding .